ARY News Live is the type of channel that is consumed every day. The channel rose to popularity during 2014. The purpose, of course, is to keep the audience updated with the latest news and daily current affairs. 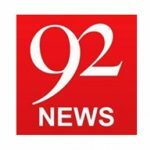 Pakistani audience has a variety of news channels to choose from when it comes to get their daily updates and ARY News is an amazing choice for many because of their perfect and timely reporting. So, let’s discuss why ARY has gotten the fame that it has and how it is among the best news channels of Pakistan. The channel was formed on September 26, 2004. Its goal was to keep people updated and increase their awareness of current local political affairs and international affairs. 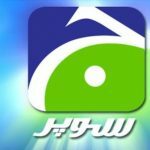 Here’s a brief history of how this channel became the huge channel that it is today: It was founded by a famous Dubai company, ARY group. Being a successful organization and having deep roots in global markets, ARY group decided to come to Pakistan. This group has a diverse portfolio ranging from music channels to jewelry shops around UAE. Another addition to its portfolio is the live streaming channels which is fairly recent. This group came to Pakistan and thus came into being the ARY channel of Pakistan as we know it today. The channel’s content is always well coordinated. 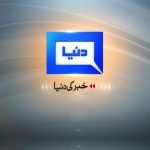 The team behind the cameras does an amazing job of making sure everything is rightly reported, making this channel a credible source for daily news updates for the Pakistani audience. Mr. Abdul Razak Yaqoob is the genius behind the operations of this successful channel’s rise to becoming everyone’s favorite channel. ARY is operating in other countries besides Pakistan, including Dubai, America, Europe, Canada, and Saudi Arabia. 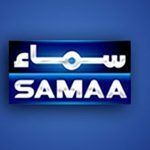 Because of its global roots, one can be assured that it is a credible source with a range of variety of channels working to provide Pakistanis with useful information and entertainment. ARY News is working hard and fast to keep its audience aware of the current news, political scenario, current affairs and other important and relevant news. ARY Digital is a family-friendly channel that can be watched by families and children for entertainment purposes. It has a variety of entertainment outlets such as drama serials, talk shows and morning shows. This variety of content is what makes ARY digital relevant to its audience and makes it the audience’s choice among other channels. 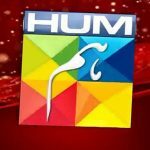 It is not less than any of its competitors out there, be it HUM TV or Urdu One or Express Entertainment or any other; ARY Digital has put its step forward and is making sure it keeps ahead of the rest. The reason that ARY Digital is preferred by many over the others is that it makes its entertainment shows not only entertaining but also fills them up with information and moral values, which is necessary to inculcate positivity into our society. Such moral values help make our society a better place and portray the true picture of the real Pakistani cultural and religious values. Due to the surge of streaming music outlets like SoundCloud and Spotify, music channels are having a hard time attracting audience. But despite such strong competition, ARY Musik has managed to stay relevant and be the choice for many in the Pakistani nation. The totally distinguishing style of ARY Musik makes it more enjoyable than the rest of the channels. Music has always been an important part of any culture. ARY Musik understands that and uses that to stay relevant and be the choice of the audience for music consumption instead of streaming websites. Pakistanis love cooking. So, how can a network as big and dedicated as ARY not have a cooking channel? To cater to the audience of Pakistan, ARY introduced its channel ARY Zauq. Like the rest of its portfolio, ARY Zauq is a top-notch channel, giving strong competition to its competitor HUM Network’s Masala TV and others. This channel is not limited to only cooking but also teaches its audience about home decoration, grocery management etc. ARY Zauq is the channel for those interested in cooking and interior decoration with a short budget. ARY Zauq’s shows are very relevant to its audience. Living in the Islamic Republic of Pakistan, its necessary for us to connect to our religion of Islam because we got our independence on the basis of Islam. For this very reason, ARY runs a channel named ARY QTV. 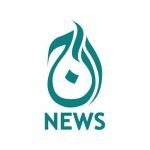 Like the many other religious channels spreading the word of God, ARY QTV is also a religious channel doing its job of sharing the message of God. Like the rest of the network, the team of ARY QTV works hard to make it one of the best religious channels among the array of religious channels operating in Pakistan. Every show focuses on a different aspect of our lives and is designed to spread a positive impact across the nation and beyond. ARY Zindagi is another entertainment channel of the ARY Network focused on all-around entertainment through the variety of dramas broadcasted on the channel. It streams a variety of dramas including Indian and Turkish dramas as well, to cater to the audience of the various countries that ARY Zindagi is broadcasted in. Any streaming service in Pakistan cannot operate without the inclusion of ARY network. Its distinctive style and theme has become irreplaceable in the hearts of many Pakistanis, making it an essential part of our website. A famous TV anchor, host, model and journalist, Mr. Aamir Ghauri has to be one of the best, most talented anchors in the Pakistani field. Aamir’s professionalism has only groomed over the years and having worked with ARY network has surely shown its effect on him. He has truly become the face of ARY network. Ali Raza is another face of ARY Network that is very well-received in the Pakistani audience. He is well known for his potential as an anchor. He is multi-talented as he is not just an anchor but a writer and model as well. You cannot finish the list of ARY anchors without the mention of Iqrar-ul-Hassan. He has truly made a name for himself working with ARY Network. He’s well-reputed and well-received among the audience of Pakistan. It is with his efforts that his talk shows and reality show are such a hit among the Pakistani people. While our industry is dominated by male anchors, this fierce lady is making sure to not be left behind. Sadaf Abdul Jabbar has made sure no one can question her talent and credibility as an anchor. She is another renowned face of the ARY network. She takes all her tasks as challenges and always surges ahead. She is making headway in her career and has become an audience favorite in very little time due to her hardwork. Yet another female face of the ARY Network, Fizza has proven to be among the celebrated news reporters of ARY News. She is dedicated and hardworking and is making sure her career thrives along with her network. She does not hold back and is making sure her career keeps on going on a slope upwards. Another worth mentioning name of ARY anchor is that of Mazhar Abbas. His anchoring style is very distinctive and is admired by Pakistanis all across. A very logical reason for his success is his affiliation with different ARY shows and his distinctive style. The list of ARY anchors cannot be completed without the mention of the one and only Mubashir Luqman. He truly needs no introduction. His portfolio is rather diverse. Not only is he a very talented and experienced anchor but also an analyst and film director among other things. He is persistent in the quality of his delivery. His expansive knowledge makes him more appreciated among his audience. Due to his experience and knowledge of the field of politics, he gets more projects and has become a major face of the ARY network. A very talented journalist and political analyst, Kashif Abbas is highly worth mentioning as another face of ARY network. He is well-received by the Pakistani audience and is a very talented individual. Waseem Badami temporarily changed his network and shifted to Bol TV but rejoined ARY Network. He has earned a name for himself and is really liked by a big chunk of the audience all across the world. There are so many names that arranging them in an order is near impossible. But mentioning Dr. Danish last is in no way saying he is lacking in any way or behind any of the aforementioned anchors. The reality of the matter is that he is among one of the best ARY has. Along with being an amazing anchor, he is also a journalist who takes his duties very seriously and leaves no room for errors. He uses his impactful style to anchor his shows and makes sure he is heard by his audience. His show is among the top shows of Pakistan. Keeping up with the times, all these anchors are accessible through social media websites like Facebook, Twitter, Google Plus etc. They use these platforms to interact with their fans and audience. They all have huge followings on social media outlets. You can also approach them on social media. For details about these pages and twitter accounts, keep on reading this article. You can also search the web to know more about your chosen anchors. Pakistan is a developing nation but in no way is it lagging behind in the use of new technological devices. Social media usage has spiked in Pakistan in the past few years. For this very reason, ARY and ARY’s anchors are all maintaining their presence on social media. 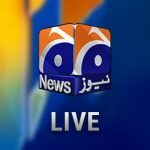 ARY is managing its live stream. 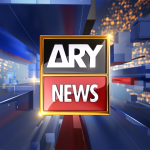 You can visit ARY News’ website here. It is evident that this is a page well received both locally and internationally. The social media team, like the rest of the network, is giving its best effort to keep social media as updated as possible, providing timely updates to its followers. Likes, comments, suggestions and daily conversation with users online is helping ARY stay relevant in this digital age. Here are some important links. 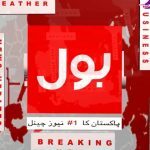 First and foremost is the website ARY is managing http://www.arynews.tv/ after which, it is important to mention the twitter page of ARY https://twitter.com/ARYNEWSONWEB which keeps on updating to keep audience engaged and updated by the second. Here is the link for one of their most famous anchors, Mr. Iqrar-ul-Hassan, who updates his twitter with a lot of informatory content. While you’re at it, follow and share your thoughts and interact with the team of ARY and Iqrar-ul-Hassan directly through their social media accounts. To meet with the rising expectations of their audience, and to keep on rising above their competition, ARY Network has hired a team of professionals to keep their network up and running. As mentioned before, the channel operates outside Pakistan as well, making It a favorite among ex-pats. Channels like ARY, Dunya, Geo, HUM etc. are all competing for the top spot. For that to happen, they have all hired the best in their fields. This spreads not only in Pakistan but in the teams hired abroad as well. ARY takes its reputation very seriously and does not compromise on quality and talent of its employees. The efforts being made by the team to keep the channel relevant and be the top choice of the audience are really admirable. And their efforts show in the rankings of the network.